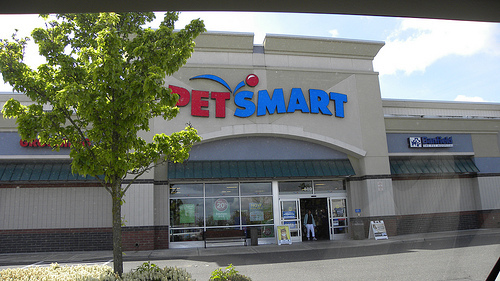 The Banfield Wellness Plan, offered by the Banfield Pet Hospitals located inside of most PetSmart locations, is a one-of-a-kind pet health care solution customized for your pet’s needs. These plans are not considered to be an insurance policy; rather, they are deemed to be affordable packages of recommended preventative care services that can help you save money over your pet’s lifetime. How much does a Banfield wellness plan cost? The cost of a Banfield wellness plan greatly depends on the type of pet you have, the breed, age, weight, health, the type of plan you want to purchase as the company offers a variety of options, and if you want additional premium optional add-ons, all of which we will explain below. Depending on these factors, most 12-month plans range anywhere from $26 to $48 per month, with the prices increasing by as much as $35+ a month if you were to add the premium add-ons. From our research, you can receive a ballpark estimate if you follow this link and click on the “explore your custom plan” button. From there, you will be asked your zip code, the type of pet you have, your pet’s name, gender, age, weight, breed, spay/neuter status and if your pet has bad breath. With this information, the hospital will then offer you a ballpark estimate based on the plan and add-on options you choose. How did you find these averages? The official website, as mentioned above, allowed us to gather estimated quotes when we included information for both dogs and cats. Keep in mind that these are just estimates only and your results could vary. For exact pricing, we highly recommend you either contact the hospital directly or fill out the form located on the official website for a customized plan quote. The Optimum wellness plans are designed to provide preventative care, ranging from exams to vaccinations, diagnostics, dental care, proper nutrition and more, all of which we go into great detail below. Again, as noted, these plans are not insurance policies, meaning they will not include treatment for any unforeseen circumstances; however, for plan holders, discounts can apply if any treatments, outside of the plan, was needed. In order to use the plan, you must visit a Banfield hospital location. Your plan will be automatically renewed after your initial 12 months expire. Most parasite add-ons do have limitations based on your dog’s age and weight, and the additional dental add-ons can only be added to a plan that already includes a dental cleaning.